Is your business ready to boost profits on this Mother’s Day? Is Your Business Ready to Boost Profits This Mother’s Day? Did you know that Mother’s Day is the most popular greetings card event in spring, with a total value of £50.4 million? The majority of card publishers are small or micro businesses with fewer than 5 employees, which means they are dealing with a huge demand from this annual holiday. This is great news for business owners across the UK, as cards aren’t typically offered solo. Here’s how you too can have a profitable mother’s day this spring. Why not create a Mother’s Day deal especially for this day? If you advertise so people know what you’re offering, your restaurant will be the first thing on people’s minds as they contemplate how best to spoilt their mum. With the right promotions, you’ll find that your tables are quickly booking up on this special day. 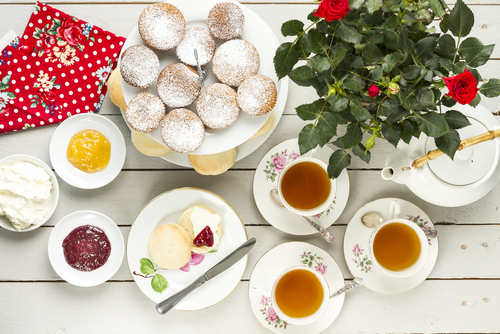 Afternoon teas have experienced a huge surge in popularity in Britain recently. Keith Newton, of AfternoonTea.co.uk believes that “afternoon tea isn’t an everyday activity, it is an opportunity to indulge and to take time relaxing with friends and family” – what better occasion than mother’s day? If you don’t already offer an afternoon tea, it’s time to start, as its popularity is evident throughout the year and not just on Mother’s Day. Stock up on the things you know will be best sellers. Most mums love jewellery and perfume so you can expect that these will be on most people’s shopping lists. Some also like the idea of a photo frame or album to display their memories. You could also offer a specialist gift guide just for this occasion, as well as a free wrapping service for anyone who makes a mother’s day purchase from your shop. Mother’s Day is the perfect occasion to buy flowers, and according to one study 57% of people will be buying these as a gift. In order to meet this huge demand, florists should make sure they have a variety of stock to offer, such as daffodils and tulips, as these are spring favourites. Florists should advertise their Mother’s Day bouquets online or in the local area, so people can make a selection and choose their budget in advance. As florists will get anyone from younger children to adults wanting to treat their mothers, it’s important to have a few options available in terms of price, from simple hand-tied bouquets to extravagant arrangements. Not all mums are satisfied with a pot of tea. Bars could implement a ‘Mother’s day menu’ which features exclusive cocktails or wine selections. Special seating could also be offered to those celebrating the night, i.e. a private booth. To make the evening more interesting- why not introduce a Mother’s day cocktail making event. People could be invited to create their very own drinks, with the help of industry professionals. Tickets could be sold in advance to draw people to your establishment for the night. Some may want to spend their night at a hotel or use its spa for a full pamper day. To entice people into choosing yours, you could offer a special service including a meal, spa treatment and glass of champagne upon arrival. In addition, or as an alternative you could also host a special mother’s day event such as a tea party or lady’s lunch. Although mother’s day only lasts for one day, many think it’s something worth celebrating. People often show their appreciation through gifts and days out, so no matter what industry you are in, make sure you are prepared to offer specialised products that will earn you a profit and gain some valuable customers. If you need to acquire any extra funds to increase your stock, refurbish, expand product lines and promote your business this Mother’s Day, United Kapital’s Merchant Cash Advance is a great way of sourcing finance. Find out more here.